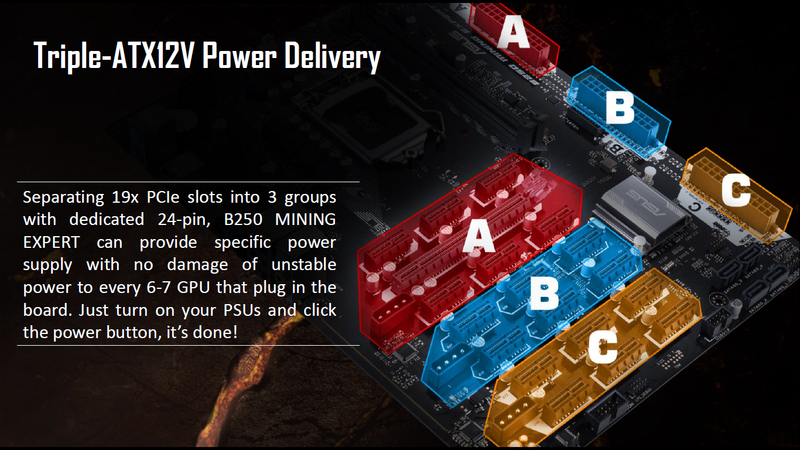 ASUS has just come to the rescue of all cryptocurrency miners with their new B250 Mining Expert motherboard, the world’s first mining motherboard with freakin’ 19 PCIe slots. 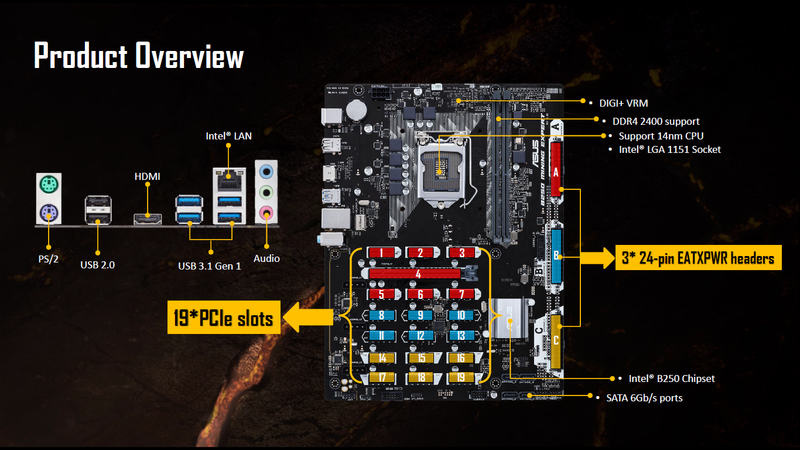 It will support Intel’s 6th and 7th generation CPUs, and up to 32GB of DDR4 RAM in dual-channel mode. 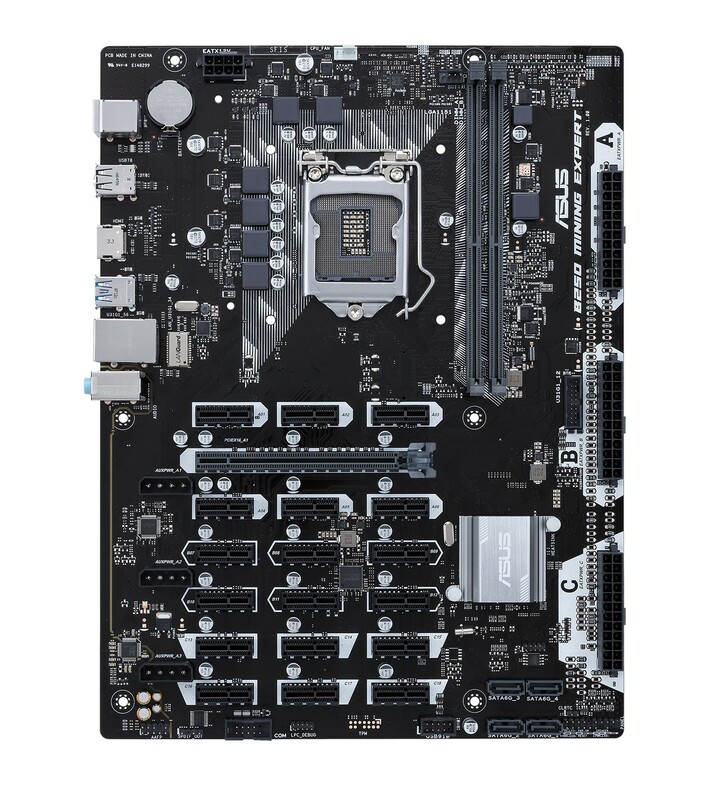 As for the expansion slots, we have 1 x PCIe 3.0 x16 slot, with 18 x PCIe 3.0 x1 slots… perfect for cryptocurrency mining. 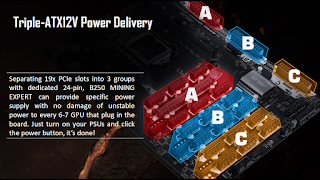 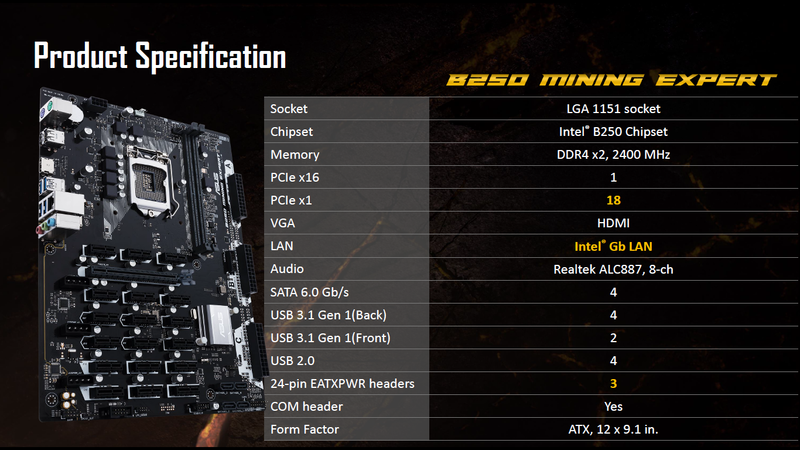 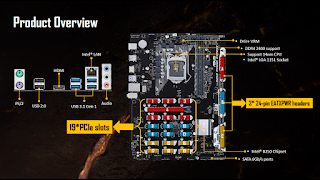 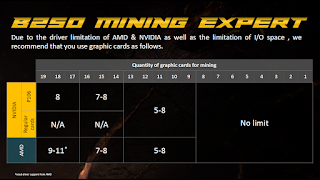 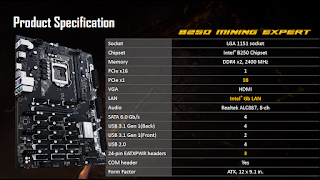 ASUS has even said that with the latest GPU drivers from AMD and NVIDIA, the B250 Mining Expert motherboard will support up to 8 x GPUs in multi-GPU mode. 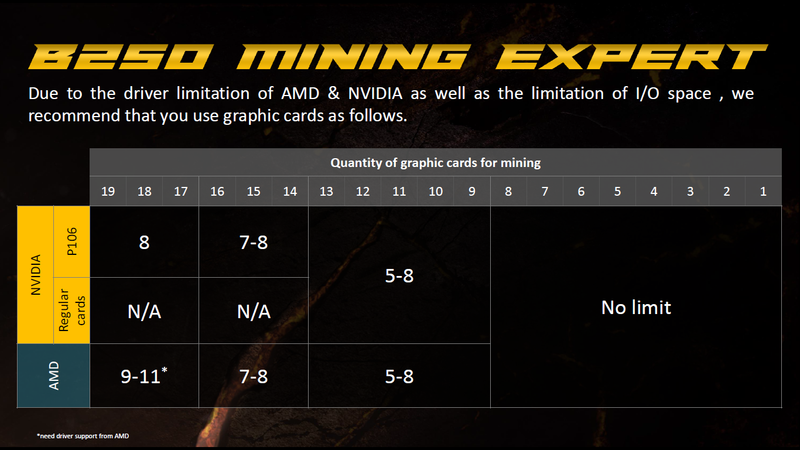 AMD has teased a new driver for later this year which will support 19 graphics cards later this year, but until then you can run 8 x Radeon and 8 x GeForce graphics cards and still hit 16 x graphics cards… a massive achievement.